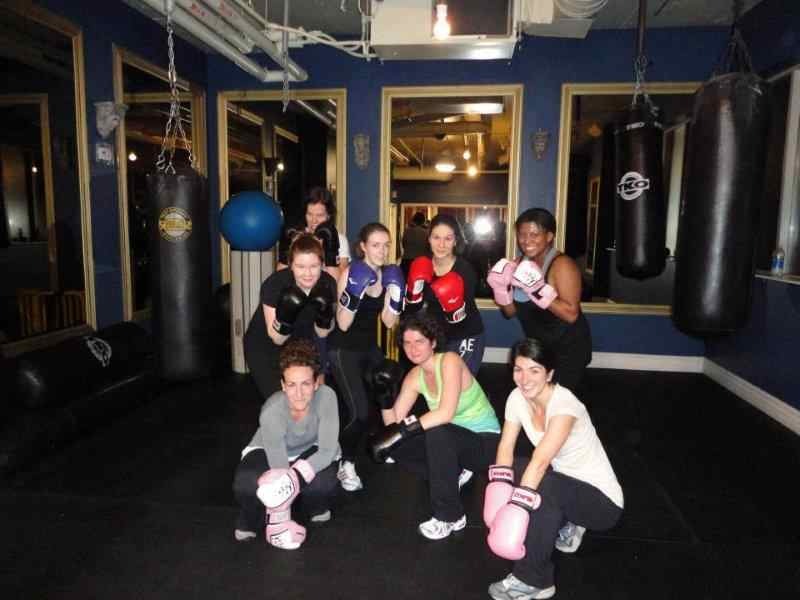 The Hip & Urban Girl's Guide: Activity-A-Week: Go Boxing! There’s no better workout than boxing! And ladies, this isn’t boxercise. With Miranda Jollymore’s class, you learn real boxing technique with the proper equipment. Miranda (MJ) is a retired amateur boxer who now teaches the sport to adults and kids through her charity, Mentoring Junior Kids Organization (MJKO). I've attended her women’s boxing class for over two years, and I've never had a better workout.Make sure you wrap your hands to protect them in the gloves. 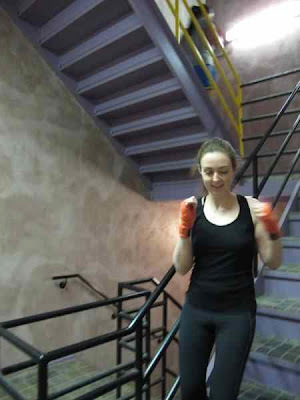 For a warm-up, we start with a skipping, stretching, and stair-climbing. Next up, we do some shadow-boxing, train one-on-one with MJ and do a bit of sparring and pad work. Then comes the bag-work, usually competing against each other in teams. The “Twenty-Countdown” will make you sweat like a mofo! The “cool down” involves push ups, crunches, stretching and other gruelling things that will make you very sore the next day. 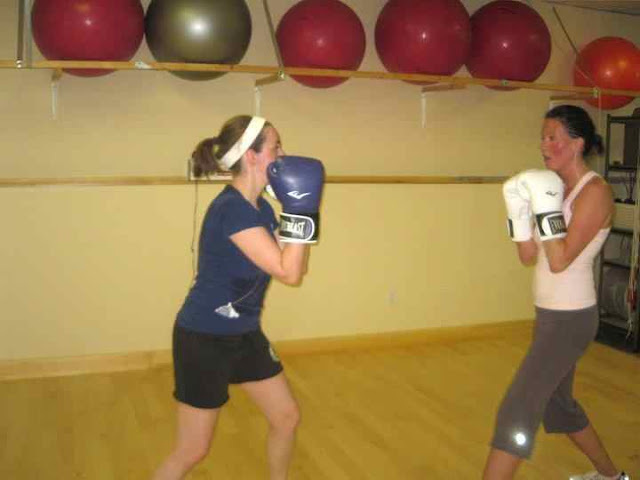 For the Beginners – Don’t worry, it’s mostly non-contact boxing. Although the advanced cohort is welcome to try sparring – with mouth guards and the proper headgear, of course. 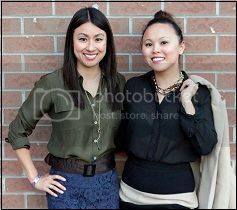 It’s always a good time with the girls! Sure, we grunt and groan from the workout, but there’s laughter too. 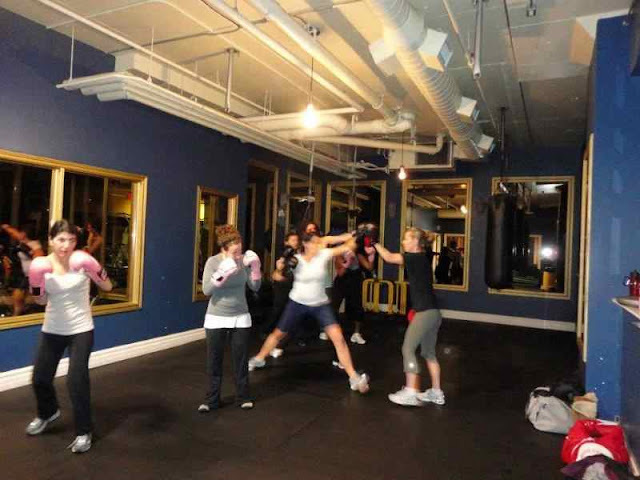 The class is offered twice weekly on Tuesdays and Thursdays from 5:30-6:30pm at Venice Fitness (393 King St West). It’s $20 per class and it includes a pair of hand wraps. Girls, get your own gloves. Basically, sharing gloves is like sharing dirty socks. Do you really want to wear someone else’s sweaty socks? As for me – my next challenge is stepping into the ring. With MJ as my coach, of course.